In 2017, the federal government committed over $2.2 billion to support clean technology initiatives across Canada. Small business funding will help accelerate cleantech research, development, demonstration and adoption projects that encourage growth and expansion. Recently, the government announced it would be supporting businesses through the Atlantic Canada Opportunities Agency (AOCA)’s Clean Technology Initiative. AOCA’s Clean Technology Initiative covers up to 50-75% of eligible expenses for approved projects that advance clean growth, reduce climate change and provide economic benefits. Repayable government funding will be provided through AOCA’s Business Development Program (BDP) and will help businesses adopt eco-friendly processes and pursue cleantech ventures. Canadian government funding will help businesses develop clean technology products, services, and solutions. In addition, eligible entrepreneurs can access the program’s Clean Technology Advisory Services to address opportunities or challenges related to strengthening clean technologies. The Government of Canada has allocated $20 million in funding to support clean technology projects in Atlantic Canada. The Clean Technology Initiative provides repayable funding to support the adoption, adaption and/or commercialization of clean technologies. Ideal projects should create new market opportunities, establish new jobs, and encourage regional clean growth. Eligible candidates may receive up to 50-75% coverage of project costs to a maximum of $150,000 in repayable government funding. ACOA offers flexible repayment terms and competitive loan interest rates to help allow businesses to grow and prosper. Successful cleantech projects can help businesses increase output and cost savings. Please Note: Contribution amounts may vary by project. The total amount awarded per project is up to the discretion of the ACOA representative. Who Is Eligible for the Clean Technology Initiative? Please Note: Seasonal businesses may also apply for funding through the Clean Technology Initiative. 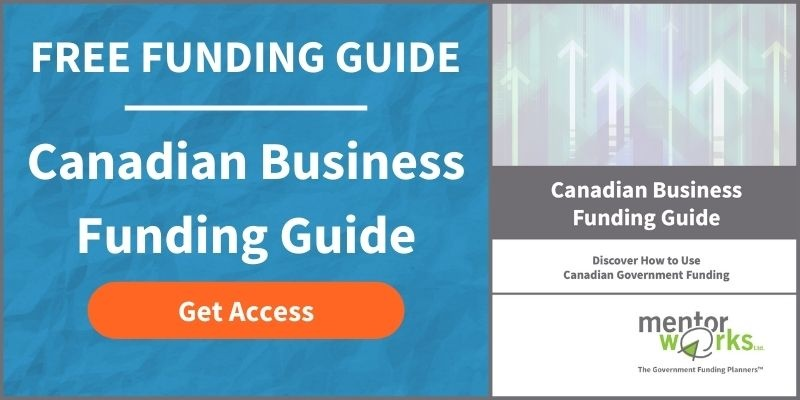 What Types of Projects Are Eligible for Canadian Cleantech Funding? Demonstrate economic viability and new job creation. To get started, interested businesses must contact a local ACOA representative to discuss their project. If the project provides a good fit for funding, eligible candidates will be asked to submit an application through ACOA’s online portal. To determine if your cleantech project is eligible for Canadian government funding, please contact Mentor Works.